Jeremy Lin fans attack a simple statement, unaware that it came from Jeremy Lin. If you’ve ever suggested the Rockets point guard should come off the bench, or disagreed that he’s the next Steve Nash, you’ve likely been asked this question. Jeremy Lin’s fans are a rabid bunch, large in quantity and not very accepting of criticism of their player. What you say, what you don’t say — they try to extract meaning out of all it. Tweet that Lin turned it over and they’ll ask why you didn’t mention James Harden’s turnover last week. So with rhetoric ramped up at a high level after Jeremy’s huge swing from Game 4 low to Game 5 high, we decided enough was enough. It was time for a little social experiment. Yesterday evening, I posted a simple thread in our Rockets forum with nothing but these words: Before Game 5, Jeremy Lin hadn’t done a great job of being an offensive spark this series. It included a poll question asking if this was a true or false statement. There was just one catch that I didn’t include. The summary wasn’t mine. It was Jeremy Lin’s. Unaware of the source of the comment, Jeremy Lin fans responded immediately to defend Jeremy Lin from Jeremy Lin, even going so far as to claim the statement proved that Jeremy Lin was biased against Jeremy Lin. I’ve seen Clutch post on here about how he’s not biased… that notion is pretty laughable at this point. What’s up with Clutch trollin/going at Lin so often? 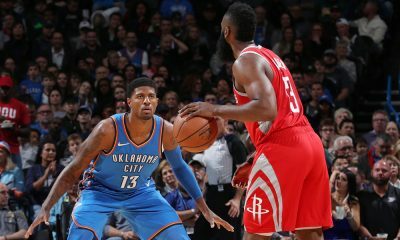 No wonder there is so much hate on the board when the site moderator trolls the most controversial issue in (the Rockets forum). This post shows clearly Clutch is a biased person. I think at this point ‘the numbers are clear’ Clutch doesn’t care for Lin. I think this situation is akin to someone running a political forum that was a strong democrat, who acted neutral then every once in awhile would post some passive agressive pro democrat agenda on the front page. Now everybody on the net is going to use this thread as an example to why ClutchFans is cancerous… I think Clutch emotionally made a mistake by making this poll. expect better from a moderator, boy was i wrong. What puzzled me even more is why an Internet-based forum with tens of thousands of members from dozens of countries can’t or won’t stay neutral for every one. 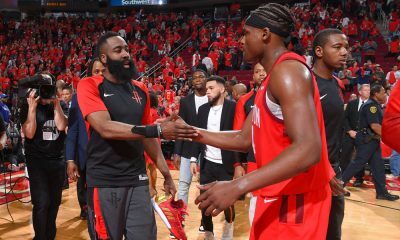 Clutch IS biased… (He) may spend a LOT of time watching basketball, but does he commit anywhere near the amount of time necessary to break down the play of ANY player on the Rockets? Let alone the Bulk of the players on the team? Now I understand why this board has so much hate on Lin. Very biased and unprofessional indeed. Even if its borderline racist, pure hate and unreasonable judgement Clutch and the mods will keep it. 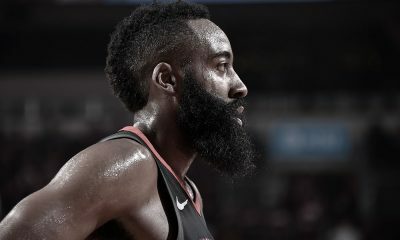 Others found a deeper meaning in the statement, believing it meant that Jeremy Lin was blaming Jeremy Lin for the Rockets being down 3-2 in the series. Unable to believe that Jeremy Lin had the nerve to even talk about Jeremy Lin, they wondered — why wasn’t Jeremy Lin focusing on James Harden’s failings? How about a new poll: “James Harden has been crap all 5 games”? Hilarious how much scrutiny a backup PG off the bench is getting. What’s the point to single out Lin? … I honestly don’t get why any genuine Rockets fan would throw the kid under the bus like this. If you seriously think lin has this much an impact on our series and fail to see who is truly underperforming at a historic level…then it’s very sad to see people being so ignorant. It’s not classy to single out our BACKUP POINT GUARD to be the scapegoat especially after the great Game 5 victory. Why single out a role player for not “providing a spark” when our star is shooting 35 percent? The bigger question for me is, ‘Why single out a single player?’ Why not apply this to all the players? … Clutch did this for a player possibly #7 in the pecking order. 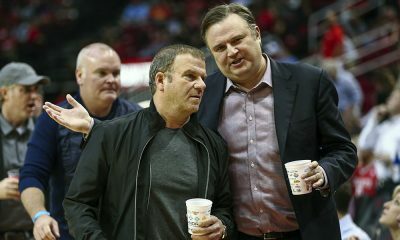 Why don’t you man up and tell to Lin and Harden to their face that they have not done good job being an offense catalyst? Even more interesting? The results of the poll, with over 1500 members voting, showed that nearly three-quarters felt that Jeremy Lin’s own summation of his play was wrong. “Absolutely and Empirically false,” said one member of the board. But it was just getting good. Conspiracy theories began to sprout from the benign statement. Small theory, but could this be like (the Rockets) are using Lin as a scapegoat and blaming him for games 1-4? And saying this was a fluke game for Lin? 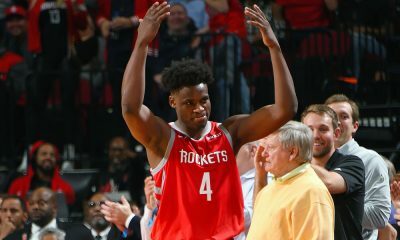 Could Les/Morey make a push to have Clutch, and other Media write negative things about Lin, so that Lin decides to buyout with the Rockets, so the Rockets can achieve a Max player next season? This thread shows Clutch’s desperation to use as many of Lin’s threads to make as much money as he can from advertising in anticipation of Lin’s possible departure from Houston next season. Others felt the way it was phrased made it biased. Another wondered how I, as media, must behave around Jeremy, with another suggesting my behavior would be “like Donald Sterling”, the racist owner of the Clippers. 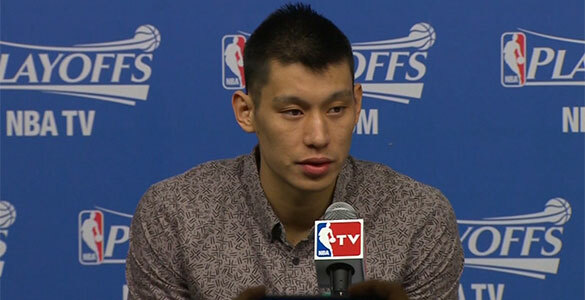 All this because of Jeremy Lin’s own summation of his play. And that, my friends, is why an honest Rockets discussion is hard to find. If Jeremy Lin is playing very well, then Rockets fans and Lin fans are in sync, but if he struggles, and he has often, then Lin fans and Rockets fans are oil and water. When Jeremy Lin finds consistency or another team, normalcy will be restored, but until then, we’re just left with one question. Why do Jeremy Lin fans hate Jeremy Lin so much?